Serria Rego : AXIANTA Financial Partners, Inc.
From Chicago Illinois, a graduate of Bradley University with a degree in Finance, Serria believes financial education is the foundation of any good advisor. Her introduction to the financial industry came at the age of 18 when she worked as a cold caller for a stockbroker in Washington, DC. 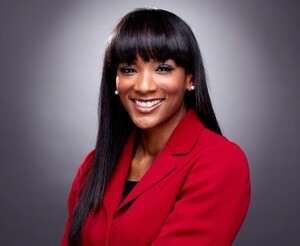 Once she graduated from college, her employers included TD Ameritrade, Edward Jones and Waddell & Reed. Serria’s practice was built on educational workshops to the San Fernando Valley Bar Association, Minority Business Opportunity Council, Small Business Administration, and utilizing membership to groups like Letip of Brentwood and Provisors. Occasionally she also writes for publications about the importance of planning. Currently her clients include Attorneys, A-list Celebrities, Business Owners and many more. Serria holds the Series 7, 65 and 63 as well as her Life, Health and Accident Insurance License.